After all the pigging out over Christmas (don’t judge me!) I’m back plan with Slimming World and back getting focused on what I eat. I really didn’t stick to plan at all over the holidays so need to put extra effort in now these next few months to hit my target. I’m back meal planning every Monday and prepping and preparing meals in advance when I can. Soup is an especially one. Super easy to make & you can warm it up for lunch or pop it into a flask to take with you to work, so it’s perfect for me & the hubby. 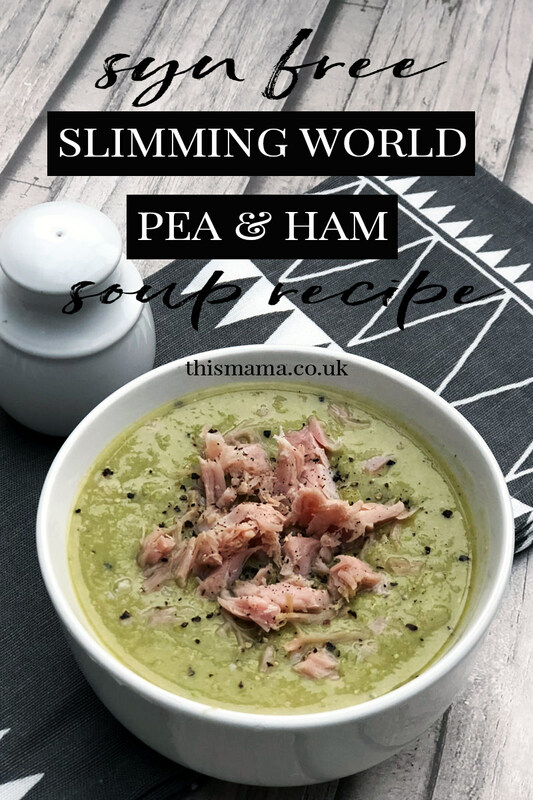 This week I’ve made a big batch of Slimming World Pea & Ham Soup and it’s syn free, filling and totally yum too so win win! It’s basically a chuck everything in a pan kind of recipe so anybody can make whether you’ve been on plan for a while or totally new to Slimming World. Place the onion, potato, stock and peas in a large saucepan. Bring to the boil then reduce the heat and simmer gently for 20 minutes or until the potatoes are tender. Using a hand held blender, process the soup until smooth. Stir in the ham, reserving some for garnish, and bring back to the boil. Season to taste and sprinkle with the remaining ham (and extra pepper if you're like my hubby!) before serving. 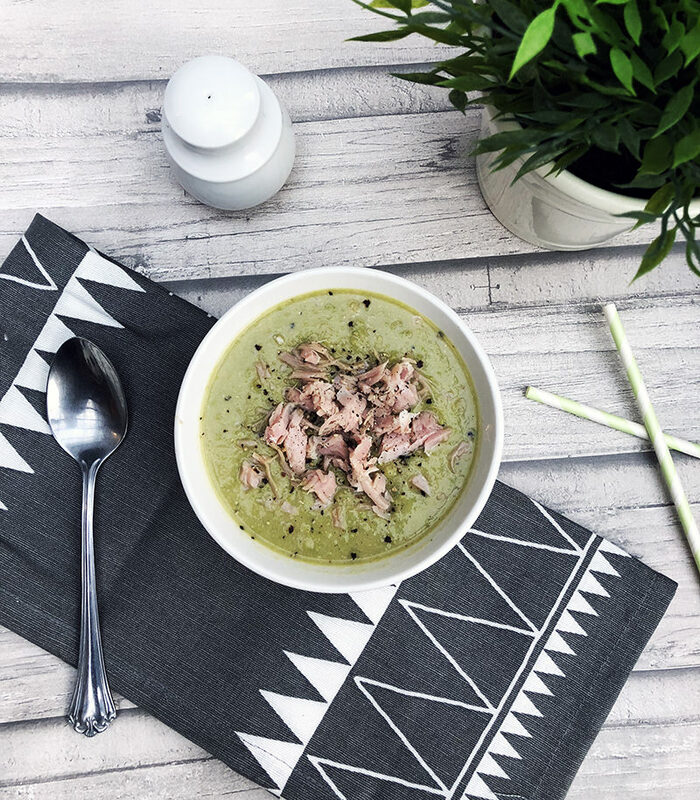 Are you a soup lover? Will you be trying out this quick & easy Syn Free recipe? Let me know your thoughts in the comments, and don’t forget to pin it for later! Thanks for sharing not on slimming world but looking for new healthy tasty recipes. Think I am going to try this one. Not the biggest soup lover here, but this one sounds easy to make and tasty to eat. It’s amazing how those hand held blenders can turn everything into a soup. yum, this looks so good! 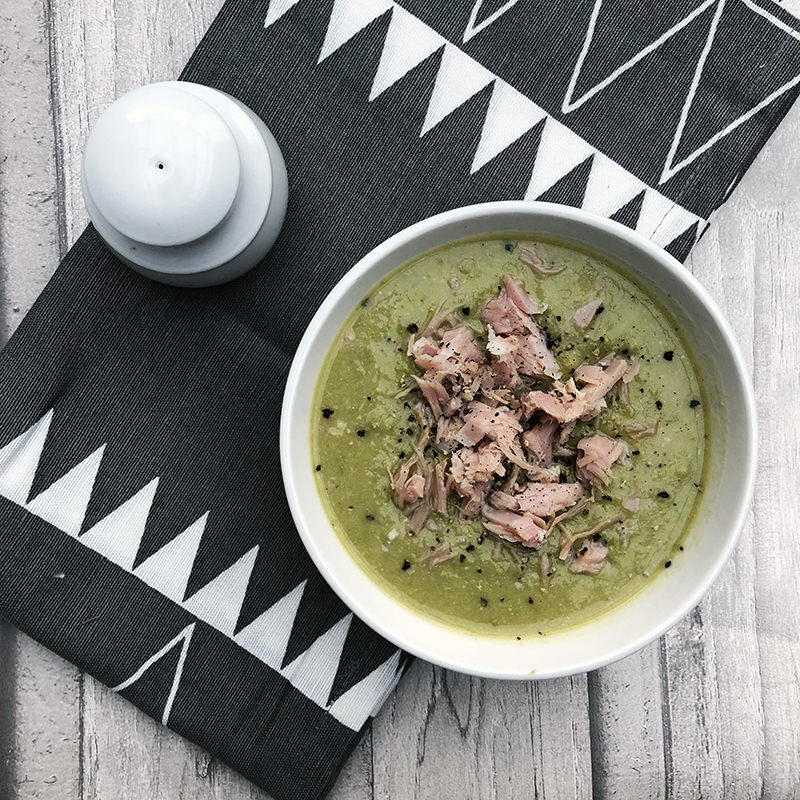 I love pea and ham soup, but have never though to make my own! I love pea and ham soup. I have many memories of eating the meat from the bones when mum use to make it when we were little! I’m really not a fan of peas. My consultant’s been singing the praises of mushy pea curry and I just can’t. But I do love soup. I’m going to get the crock pot on this week. It just won’t involve peas! Regardless of the colour, this soup looks fantastic! I’ll have to give it a go.